Sitting here on the small balcony of my beach hut in Palolem, Goa, in the South of India, with the Arabian Sea only 30 meters in front of me and a palm tree full of coconuts providing me with some much needed shade, I can only smile. Exactly one year ago, I was sitting in an apartment in Bucharest, Romania, afraid to venture outside into the -20C temperatures and the constant snow and ice that was part of the coldest winter I have ever experienced. From snow to beach, from big city to small village, from twenty layers of clothes (here’s my video of how to properly dress for such a cold winter) to being shirtless for days on end, from keeping warm with cup after cup of hot tea to staying cool with mug after mug of watermelon juice…what a change it’s been! But of course, over this past year, this set of 365 days that will forever be known as 2012, not only did I enjoy such vastly different starting and ending points, I was also fortunate enough to enjoy another long list of unforgettable adventures in between. Despite the unbearable winter last year, I somehow became addicted to Bucharest and within a few weeks of arrival, I decided that it would be my base for awhile. And so, that’s where I stayed, moving into an apartment with a friend in a quiet, park-filled neighborhood just a 20 minute tram-ride from the city center. 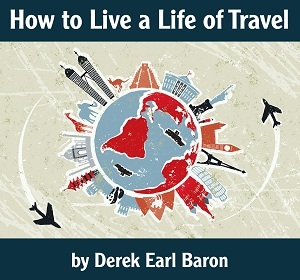 I then used the cold as a good excuse to spend many hours each day inside working and the result was the creation of my latest eBook – How to Live a Life of Travel – which seems to have been met with great success so far in helping others get on the path towards the achievement of their own travel goals. However, once that eBook was finished and launched, it was time for me to do some traveling as having a base wasn’t going to keep me stuck in one place for too long. Leaving Romania, my first destination was Veliko Tarnovo, Bulgaria (perhaps the best value destination on the planet?) before continuing on to Istanbul for a week. Then I went back to the USA for a quick visit home, a trip that was followed by another stint in Istanbul before returning to Bucharest. Next, I went to visit a friend in Bratislava, Slovakia and a few weeks after that trip ended, I was off to the Balkans where I visited Belgrade, Serbia, before enjoying my very first ‘vacation’ from the blog, a two-week, work-free period that I spent in the small beach town of Ulcinj and the beautiful ancient town of Kotor, both in Montenegro. 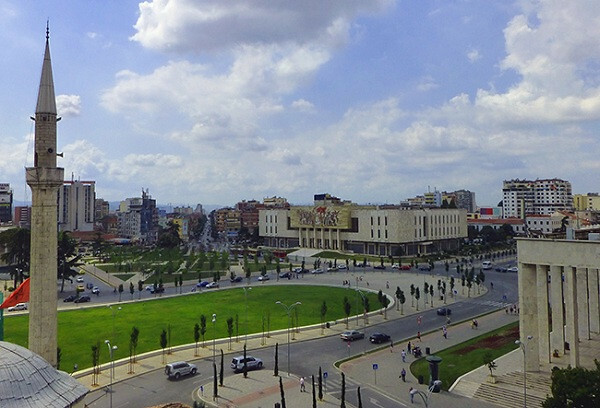 When my vacation came to an end, I continued traveling through Albania and Macedonia before making a quick stop in Sofia, Bulgaria on my way back to Romania. A short while late and I was off to Moldova where I spent time in the capital city of Chisinau, as well as an interesting day in the breakaway region of Transnistria. 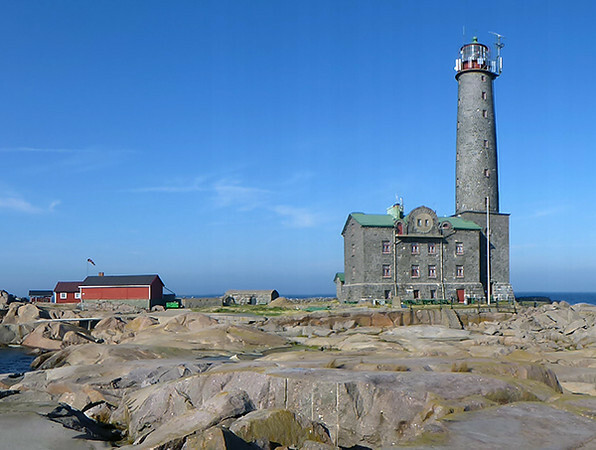 There was another trip back to the USA in August and some time after that, I flew from Bucharest to Riga to start a three-week trip through Latvia, Estonia and Finland, the highlight of which was that amazing night I spent at the remote Bengtskar Lighthouse. Then, after my final (and very short) trip to the USA to visit family, I was on a 14-hour direct flight from New York City to Delhi, India, the country I have now been in for over two months this time around and where I’ll be for a couple of more weeks. It certainly wasn’t a bad year of traveling at all, with a healthy mix of slow and fast travel, a combination of 23 flights, 22 bus journeys, 11 train trips, 1 ferry ride, 16 countries and sleeping in 54 different beds, and a great bonus of having a completely different, and much deeper, experience in Bucharest than in other destinations where I spent a much shorter period of time. While I don’t pay too much attention to blog rankings or statistics or any of that stuff, I must admit that I was quite honored when WanderingEarl.com was listed as one of Time Magazine’s Top 25 Blogs of 2012, and then, just a few weeks ago, I was voted (by readers) as one of the Top 13 Travel Blogs to follow in 2013 over at Elliott.org. On the other hand, one of my posts was also mentioned on the front page of the popular website, Metafilter.com, where dozens of people who are in no way whatsoever familiar with my site or with me, proceeded to strongly criticize me (tear me apart would be more like it) and this blog, not to mention spread lies based on untrue conclusions. But, what to do…so it goes! Overall, I am extremely happy with how the blog is going, with the growing audience and especially with the wonderful comments that are left on all the posts. I always mention that I want this site to be a community instead of just a one-way street involving me yakking on about my travels and every time I receive a notification that a new comment has been left on the site or every time I receive an email from one of you, I really do feel that this goal has been achieved. So thank you! Do You Need A University Degree To Travel Long Term? Do Long-Term Travelers Prepare For Retirement? Am I Destined to Wander the World All Alone? I decided to bring back my afro this year and it’s now been a good six months of walking around with a huge mop on my noggin. My camera, the Panasonic Lumix ZS20, which I bought over the summer, is still what I would consider the perfect travel camera and for the first time in years, I’m enjoying taking photos everywhere I go (especially when I attach my XShot Camera Extender)! Recently, I was not able to visit the Taj Mahal because of my first disturbing illness in a long, long time and my resulting need to be very close to a toilet, but luckily, I managed to actually make it inside the Taj a few weeks later. My favorite food items that I discovered this year include the Romanian fasole prajita (sort of like baked beans) and ardei umpluti (stuffed peppers) and the Romanian dessert known as papanasi (warm cheese donuts covered with cream and jam). 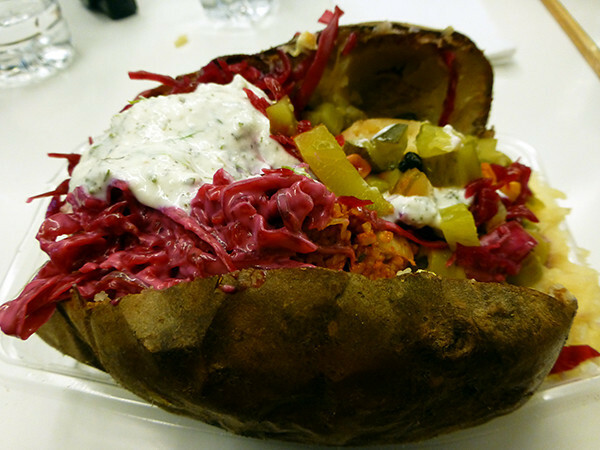 Notable mentions are also given to every dish I ate in Finland that included fresh yellow chanterelle mushrooms, Moldovan clatite cu pui si ciuperci (crepes stuffed with chicken and mushrooms), Istanbul’s kumpir (baked potatoes overflowing with vegetables and cheese), shopska salad (just a mighty yummy salad!) found in Bulgaria and Macedonia and the most delicious navratan korma (yogurt based curry with vegetables and fruits) from the Tadka restaurant in Delhi. In terms of reading material, I can highly recommend two books I read in 2012, Incognito by David Eagelman and The Pirates of Somalia by Jay Bahadur, the former offering some great insight into the workings of your subconscious brain and the latter having pretty much solidified my desire to travel to Somalia at some point in early 2013. I still pluck my eyebrows. Several times this year I became a little too overwhelmed with trying to balance work and travel as 2012 was the busiest year for me since I started blogging and working online. What most people don’t realize is that I easily can work 40+ hours most weeks, especially as this site and my projects continue to grow. My lifestyle is no permanent vacation by any means and when you don’t have a permanent home and you live out of a backpack, it’s not easy to always be in the proper mindset necessary to work to your highest capabilities. The toughest moment of 2012… It was probably one of the periods I just mentioned when I just couldn’t figure out how to handle all the work and travel at the same time and I felt completely burnt out as a result. Over the summer was when I had my worst of these spells and it did make me wonder if all the time I spend in front of my laptop is worth it. The most rewarding moment was when I walked out of the Indira Gandhi International Airport in Delhi, India on October 25th, officially marking my return to my favorite country after a long 2.5 year absence. 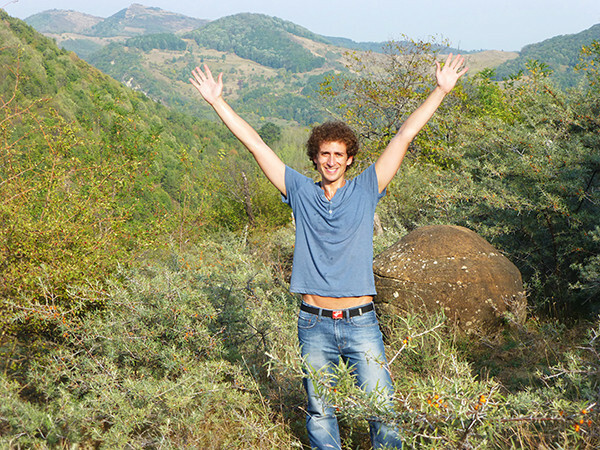 I was also at my happiest when I took a random trip into the middle of nowhere Romania during autumn, a trip that made me feel as relaxed and at peace as I have ever felt. While living in Bucharest, I met a lot of other travelers and travel bloggers who happened to be passing through the area and with whom I was able to meet for a quick coffee, a meal, some shisha and in some cases, a few days of exploring the city. And I met a lot of wonderful Romanians as well, both readers of the blog and non-readers whom I met through other friends. So many great people in that country! After a good amount of reflection, I have realized the need for me to have a more proper base/home of my own which is why I asked all of you to “Please Help Me Find a Home” in a recent post. And as I continue the search for my perfect location, I can only thank you for all of the recommendations you made of places for me to consider. I am genuinely excited to check out many of your suggestions! Apart from finishing the eBook I mentioned above, another major goal for this past year was to follow through with the idea of setting up Wandering Earl Tours. And I am incredibly excited to not only have started this project, but to have already run a most successful first tour right here in India, and to have several more tours already planned for next year (with the Mexico tour already sold out). If you happen to be interested in any of the above, feel free to send me an email now and I’ll place you on the early list! So that was a brief outline of my year, a look back at 2012. There was also some all night partying on Romania’s Black Sea coast, a rise of Istanbul as one of my favorite destinations on the planet and watching dogs eat a human leg in Varanasi scattered in, and I did go to the cinema quite often, ate a ton of fresh fruit and managed to update my small wardrobe as well. You can imagine, therefore, that as midnight arrived here on the beaches of Goa, India on the 31st of December, and as I spent my time dodging poorly manufactured fireworks that shot in every direction except for the one they were supposed to, I took a few deep breaths, said goodbye to another remarkable year of this life adventure and quickly welcomed the journey that shall unfold ahead of me. That’s it. I shall now switch off my mobile WiFi device that I have from Telecomsquare.com, the tiny device I’ve mentioned before that has incredibly enabled me to be online and complete my work wherever I’ve been in India, including some very remote locations, and then I shall head off to enjoy an evening walk along the beach, just as one does in Goa. Hope you had a great New Year’s celebration and I wish every single one of you a spectacular 2013! Thank you for following along with the blog as always! How was your 2012? Did you make the most out of it? Thanks for the advice Earl! Really appreciate it. I think two weeks before is a pretty good number for me. Keep up the awesome blogs! It has been a great couple of weeks upon discovering your blog and searching continuously through all the fantastic advice! Thank you! I’m heading of to Asia for 3 months and one place i’m heading to is North India, however there seems to be no advice on the internet about how to travel via trains with out having to book them in advance. With your knowledge and experience of India I was wandering whether you could give me some advice on train tickets without the major booking gap? I’m trying to be as free as possible and not have to be tied to certain dates. You can type in your origin and destination stations, what class and date you want and it will tell you how many seats are left. That’s usually what I use to see if a particular route should be booked well in advance. Hey Olfa – I’d really like to visit Philippines and maybe some more countries in Africa this year, so hopefully that will happen. Good luck with your own travel goals and see you out there somewhere! Im heading to Poland and down in the spring – did you find any beach destinations in Eastern Europe that have that Playa del Carmen feel and resources? That is an awesome year. I got to spend 2 months in India, which like you, has become my favorite country. I can’t wait to go back. For 2013 we are thinking Myanmar for sure, maybe Include India on that or go the other way and hit Malaysia and Indonesia. There are so many options. Congratulations on a great year and the successes with your blog and tours. Thanks for that Jeff and I wish you some great journeys ahead in 2013! Your trip to Myanmar should be excellent and whichever direction you go after that, there shall be rewarding adventures to be had! I know I was super stoked to see you write about Bulgaria, one of my favorite places in the world 🙂 Keep it up! Oh wow!!! Congrats on the TIME mention Earl. Thanks Matt! And it sure will be weird being in South Africa without the gang…can’t believe it’s been over a year! Hi Earl, you had a great 2012, Happy New Year! 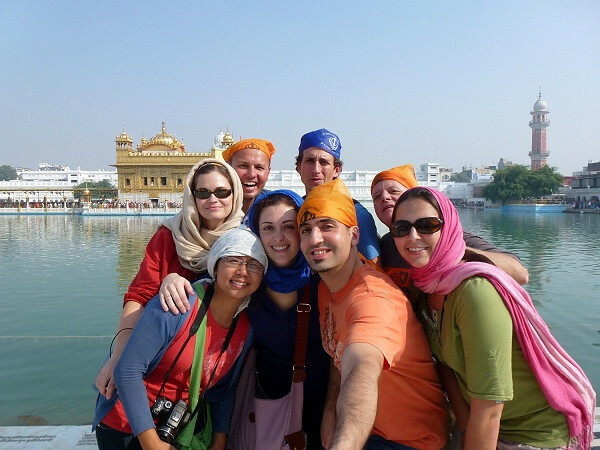 I’d like to go to India, but not this year, have nice trips to all your destinations!!! Thank you so much Jan and whenever you do decide to go to India, let me know and I’ll help you out as much as I can! Sounds like a great year! I loved Istanbul! What did you think? Don’t worry about what they say at Metafilter, your the man! Thanks Stephen! And yes, I absolutely love Istanbul as well…I’m always happy whenever I land there and plan to visit a few more times this year! Earl, You sure had a great year! I so wish I could join you for the Romania/Moldova tour, but I already have my trip planned this year. Sounds like an amazing adventure- especially the Moldova part- not a lot of tourism going on there would be my guess. Hey Erik – Not much tourism in Moldova at all…I think it is one of the least visited, if not the least visited, country in Europe from what I’ve read. Enjoy your own travels and let me know how it goes! 2012 had 366 days (it was a leap year! ), just FYI. (I can’t help it, I’m a pedant.) I think your afro is lovely and suits you very well. Somalia sounds exciting; looking forward to hearing about that! 2013 for me, will be the year when me and my partner of 7.5 years *finally* get to travel together, starting in South America. We’re leaving for Buenos Aires in 10 days. Bring it on! We both really enjoy your blog, and appreciate everything you put in to it to provide living proof that a life like yours *is* possible if you want it badly enough. Thank you, Earl! And I’m excited to hear about your journey to South America. How long will you be down there for? I really do wish you both a wonderful trip and please do let me know how it’s going every now and then! Thank you so much, Earl! Well, we now have a blog, so you can keep track of us if you’re interested. It’s at http://www.indefiniteadventure.com. We’re planning to be in South America for roughly a year, though it’s all flexible; we’ll see what happens! Can’t wait! Hey Sam – Congrats on setting up the blog and I shall follow along for sure. A year is a solid amount of time and I have no doubt you’ll have plenty of interesting tales to tell. I like the layout of the blog by the way! It’s so inspiring reading all of the places you have been. Last year was my first time ever that I have traveled to more than 10+ countries. It has been quite an amazing journey, and this 2013 – I plan to go on more countries. I’m really pleased that your life is by and large going so well and that the blog has been met with so much success. You deserve every bit of it. I must admit that I on the other end of your blog after following you for a couple of years still get a buzz every time you answer one of my comments. 2012 looks like it was an awesome year for you although it did start off very cold. 2013 looks like to be a bumper year for you with your travels, work and tours as well. My 2013 is going to be one of studying. I’m slowly progressing along towards a degree in Professional Writing and Publishing. I hope to become a writer and teacher of all things Buddhism one day and join you on the road as a digital nomad. In the meantime thank you for all you do. You help keep the dream alive for the rest of us stuck in the 9 to 5 rut or something worse. Hey Matthew – I appreciate all that and I wish you the best with your studies this year. And I shall definitely look forward to meeting you out there in the world once your nomadic adventures do begin! Thank you for being such an active part of the community! Glad you had such a great year. It was your posts that inspired me to put the Balkans on the itinerary for my around the world trip. Keep on traveling and showing the people who say that it can’t be done that they’re mistaken. I look forward to reading your blog this year and hopefully I can run into you on the road one day! Hey Frank – I shall definitely look forward to meeting up with you at some point this year…with the amount of people I keep running into during my travels, no matter where I am, there’s a good chance it will happen. 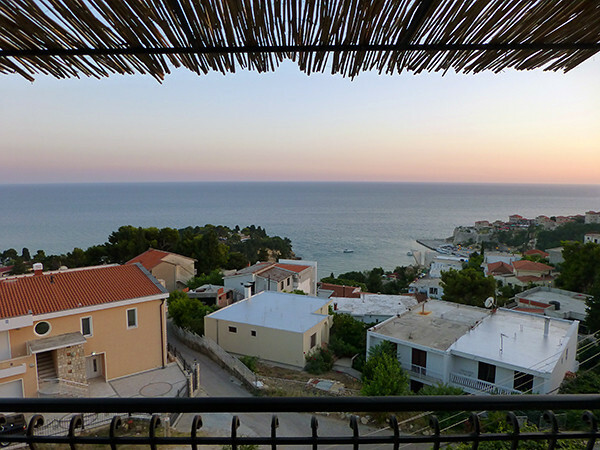 And I’m glad to hear the Balkans are on your itinerary…good call for sure!! Love your blog! While in Goa, you should check out http://www.whatsupgoa.com for fun things to do. WUG was co-founded by one of my UT college friends. Thank for sharing your exciting 2012 Earl! Istanbul sounds great for May! @frugalexpat – I’m very excited about the Istanbul tour as well…and all the tours for that matter! That sounds like an incredible year! I visited Bratislava this year year too, and I wasn’t so fond of it. What did you think about it? I never caught the chatter at Metafilter.com but I just want to say “Aw hell naw!”. Earl, you are not goofy. Ignore the haters. Every time I try to explain to someone how they can travel…..if they say “but”…I give up right away. Nothing is possible or perfect enough for these kinds of people. Hope one day they choke on their Haterade. I only discovered your blog a few weeks ago but have become fast addicted! I’d just like to know roughly how much your trip to Istanbul would be? I’d been considering a trip to Turkey April/May time and if I can get the time of work I’d be there in a flash!! Hey Jonny – The trip to Istanbul in May will be a little different…it will cost about $2300 for 6 days but that will include virtually everything – accommodation, most meals, all transportation, activities/entrance fees, special events and plenty more. Due to some great contacts I have in that city and the things they can organize, it’s basically going to be an itinerary that a traveler couldn’t do on their own! It would be great to have you join if you’re interested! Hey Marina! Sounds like a good choice to me with Costa Rica! As for organizing tours, you just need to sit down and get to work. There’s a lot of details that need planning and organizing and of course, you need to try and get people to sign up. I would start by trying to find people to join you and once you have a group interested in traveling with you, then start organizing the trip. Looking forward to seeing where the new year brings you! Sounds like a busy and amazing year! Have a great 2013, looking forward to reading your adventures in Somalia. I am very interested in your India tour! My email is [email protected] so please keep me updated. Hey Koty – I have added you to the list and will be in touch once the details are finalized!